Known as an award-winning quilter, Ricky Tims is also an enthusiastic and encouraging teacher, and a talented and spellbinding speaker. 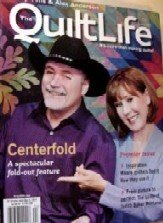 Combining his talents as a musician, producer, quilter, and teacher, his presentations are innovative and entertaining featuring live music and humor combined with scholarly, insights and wisdom. 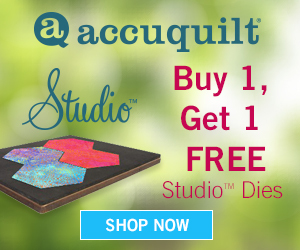 In the international world of quilting Ricky's bold, creative designs using color and movement are highly regarded as magnificent examples of contemporary quilts with traditional appeal. 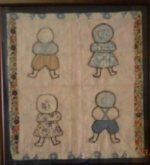 In his book, Ricky Tims' Convergence Quilts: Mysterious, Magical, Easy, and Fun, Ricky reminisces about growing up in North Central Texas, where he occasionally helped his Granny tie some of her heavy, practical quilts. Made to keep a body warm in "frozen-to-the-bone" Texas winters, her quilts were made from "odd-shaped pieces of fabric that included corduroy, wool, and flannel." In 1991, Granny moved away, leaving behind her 1955 Sears Kenmore sewing machine. 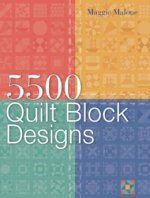 Determined to learn to use it, Ricky bought a book on sampler quilts, some fabric, and in no time was hooked! Ricky still has Granny's old machine, even occasionally using it for piecing. co-host of "The Quilt Show with Alex Anderson and Ricky Tims"